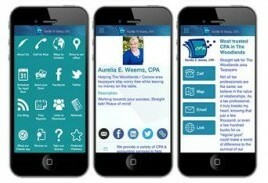 Aurelia Weems, CPA is very trustworthy and timely when preparing taxes. I can’t say enough about the professionalism and creative solutions for navigating the tax code. I find Aurelia a highly competent and very personable professional. Her work was efficient, timely and accurate. I highly recommend her. Aurelia takes care of my personal and my company tax returns. I am one man company and I do not know how I would manage without Aurelia’s help. I highly recommend Aurelia. Aurelia was able to bring our bookkeeping department up to the highest level of productivity ever. She patiently used her skill to guide our bookkeeper and bring everything up to date. I highly recommend Aurelia. We have used Mrs. Weems service for many years. We are very satisfied and appreciate the quick responses and assistance that she has provided. Aurelia Weems has provided accounting services for my family and my corporation since 2008. She is personable and creative, does excellent work for a reasonable fee, and has given great advice. She is also very involved with her community. I have and will continue to recommend her to family and colleagues.